Dell Pools & Spas, Inc. Through our quality service and products in pools, spas we have built a solid reputation of customer satisfaction. Our mission is to provide our customers with the most professional, courteous service and quality workmanship. "One Stop Shopping For All Your Spa-Hottub Needs" Please call for a satisfied customer list in your area! 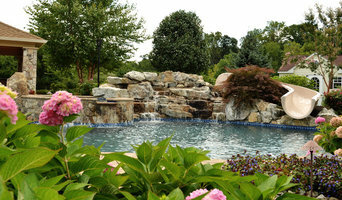 Dell Pools & Spas, Inc. is a recognized builder of custom swimming pools that specializes in creating beautiful and functional outdoor living environments. These backyard environments include swimming pools, rock waterfalls, spas, beach entries, and water features of every description. Genesis Landscape Contractors, Inc. has been proudly serving commercial and residential properties throughout New Jersey since 1989. Our team of engineers, landscape designers, and builders believe if you can dream it, we can build it! Whether it be a small planting, a patio with a kitchen, complete master plan design and installation, or a make-over of your existing landscape, Genesis will not only meet your budget but exceed your greatest expectation. To help achieve your vision of your perfect paradise, we are there with you every step of the way throughout the process, from our first meeting to the last day of installation. Prior to putting one shovel in the ground, the Genesis team will be able to provide you with detailed to-the-penny pricing of every aspect your completed project. We can even inform you as to what your future maintenance responsibilities will be. We offer both extensive design services as well as property maintenance and lawn care, including snow removal and ice control when the weather gets rough. 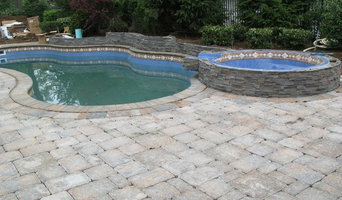 We are a Landscaping & Swimming Pool design/build company located in Orange County, NY. We service Orange, Dutchess, Sullivan, Ulster and Westchester Counties. Aquatecture LLC was formed as a custom waterscapes builder in 1998 by Mike Masi, working in partnership with Brian Koribanick and Landscape Techniques Inc. Now for nearly 20 years, the team of Masi and Koribanick provide homeowners throughout greater New Jersey with outstanding landscape,hardscapes and waterscape designs and construction. Their talents are readily evident in the photos of their work, and their success at satisfying homeowners needs is readily evident by their A+ rating with the BBB. They have also been selected and authorized to join the selected group of Jandy ProEdge dealers, which means they are able to offer 3 year warranties on pool equipment – TRIPLE the normal warranty from other dealers. Westrock Pool and Spa is proud to be serving its customers for 50 years as a family-owned and operated business in Nanuet, New York. Since 1967 Westrock has served Orange, Rockland, Westchester, Putnam and Bergen counties with our top-notch professionally accredited staff of designers, sales and technical personnel, installers and craftsmen. We specialize in above ground and in-ground vinyl and gunite pools as well as world-class hot tubs and spas with brands such as Coast and Bahama Spas. Westrock is also a pool and spa services company 365 days a year. We look forward to helping you create your backyard dreams! Contact us today! Located in Staten Island we service Brooklyn, Monmouth County, and other surrounding areas. When you are ready to have your dream pool done give us a call. We look forward to working with you soon! In 2004, we purchased our own Softub. When we found out that Softub makes such a great hot tub at a fantastic value, we decided to invest our own money and launch Sparta Softub, LLC. We are a home-based office and keep expenses down and pass that savings on to you. We are able to offer great sales and discounts while still providing free delivery up to an hour away along with a free Softcare chemical kit with each tub order. Softub - the company: Softub has been manufacturing Softub spas since 1986, and some of the first tubs are still in customers’ back yards. You can count on a reliable spa, with a strong company to back it up. There are many Softub spas still in operation after over 20 years of service. There are two manufacturing plants. The West Coast plant is in Valencia, California, and the East Coast plant is in New Bedford, Massachusetts. If you ever need accessories, parts, service, or answers – there are dealers and service facilities all over the United States. For almost 30 years, Softub, Inc. has heard happy owners describe our unique hot tub as the world's most comfortable, most affordable, most portable, most energy-efficient, and lightweight hot tub. Softubs are available in three different models, designed to meet your specific needs. The Softub 140 model is designed for 1-2 people and provides maximum enjoyment in a minimum amount of space. Our Softub 220 is perfect for 1-4 people and provides wonderful, cushioned comfort. For the ultimate in full-sized cushioned luxury, try our most popular model, the Softub 300+, complete with Therapy Seat and designed for up to 6 people. All Softubs are equipped with a folding lockable cover. Choose from seven exterior designer colors and three liner colors. Naso Pools has earned a reputation as one of Bergen County’s most reliable and competitively priced pool servicing and supply companies. From spring openings to summer cleanings to winter closing we do it all. 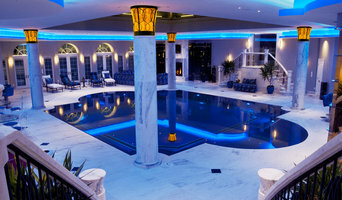 We’re experienced in both installing and maintaining various types of pools and spas. Whether vinyl, concrete or fiberglass we’ll keep your pool is in top condition throughout the season. Curious about natural chemistry, salt water systems or chemical-free ionization solutions? Our vast experience can help you make a budget friendly decision that’s right for you and your family. We also offer a full array of heating solutions including heaters, heat pumps and retractable solar covers. Does your pool need a face lift? We offer every option from liner replacement for liner pools, plaster choices for gunite pools (including, Hydrazzo, Diamond Brite, Durrazo, Glass Bead, and Pebble Tec), paint applications for your painted pool, and newly added fiberglass pool repairs. We also offer a complete line of patio and hardscape options. Cirrus Pools designs and builds truly one-of -a -kind pool environments that are custom fit to match every clients lifestyle and budget. I'm an award-winning full-service marine expert studio providing residential and commercial design services to a discerning clientele. Working closely with its clients, it seeks to translate clients’ desires into a fresh, visual aesthetic that reflects their tastes and unique personality.